Creating niche websites is one of the more popular ways to make money online, and it can be an especially good option for people who don’t have loads of time to invest in a site on an on-going basis. Building a successful and profitable niche website will take work and time, but with most niche sites the majority of the time is spent at the beginning of the process. Once the site reaches a certain level you can cut back, and it will generally require much less time than an authority blog or most other types of websites. Another great thing about niche websites is that the process can be duplicated, so you can create as many niche sites as you want. Also, much of the work can be outsourced for reasonable prices, which will even further reduce the amount of time that you’ll need to devote to it. In this post I want to highlight a number of resources, tools, and websites that can be extremely valuable when building niche sites of your own. Some of these resources are free and others must be purchased, but there is plenty here to get you started on any budget. If you’re looking to learn how to build your own niche sites, the resources in this section are excellent starting points. Niche Pursuits is a blog by Spencer Haws that is dedicated to the topic of making money from niche websites. Spencer publishes case studies, income reports, interviews, and all kinds of articles on the topic. It’s a must follow for anyone wanting to learn more about how to make money through niche sites. Niche Hacks is a blog by Stuart Walker that is also a great source of information. There is plenty of great content at this blog, including The Ultimate Guide to Finding a Niche Market. Authority Website Income is a blog by Jon Haver that includes content related to niche sites. There are some really detailed articles here, including the Ultimate Expired Domain Guide, which shows how you can get some high quality links using expired domains. There are also a lot of articles on outsourcing, which is key if you want to manage a large number of niche sites. David Arrington has written this in-depth guide that covers what you need to know to research and find an ideal niche for your website. Long Tail Classroom is a training course by Spencer Haws of Niche Pursuits, but unfortunately it is no longer open. I listed it here because I went through the course last year and found it to be the best training on the topic of niche websites (although some of the link building approaches may be outdated thanks to Google’s algorithm changes, which may be why it is no longer available). If you visit the link you can enter your name and email to be notified if the course is updated and re-opened. 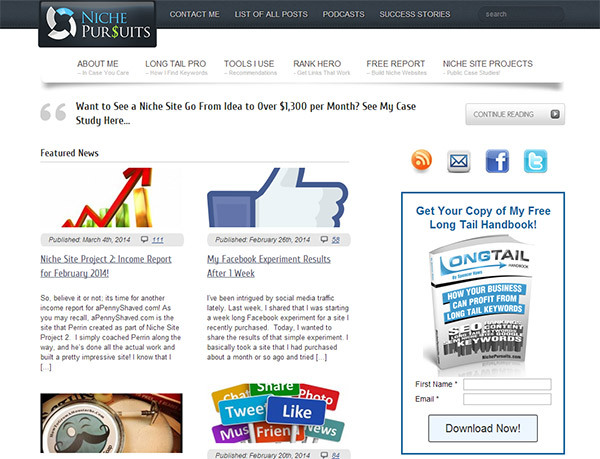 This is a complete case study that Spencer put together while creating an example niche site. This is a second case study at Niche Pursuits. This time Spencer led a student through the process. Pat Flynn of Smart Passive Income detailed his niche website creation starting back in 2010. This can be a helpful resource, but I’d recommend the next one more because it is current. This is Pat’s current niche site case study, still in progress as of the time of this publication. This is a great case study from David McSweeney of Top 5 SEO. David’s approach is a little different than some others when it comes to niche sites, in terms of taking a less aggressive approach to link building. If you want to be at the top of Google’s search rankings you will need to get links to your site. Here are some resources that can help. 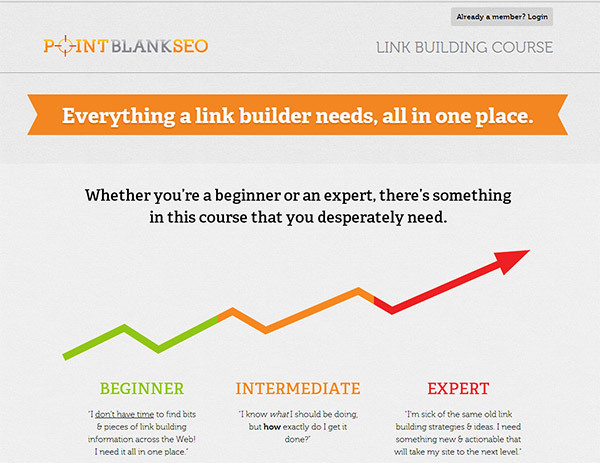 If you’re looking for a great guide on the topic of how to build links, this is it. I purchased this course last year and it is well worth the price of $67. There are some really unique and effective ideas covered in this course that you probably won’t find anywhere else. 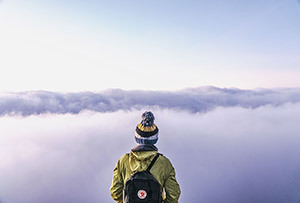 Rank Hero is a private blog network that allows you to have your articles and links posted at blogs within their network. Buying links can lead to a penalty from Google, but it’s still an effective approach that works for a lot of people (I haven’t personally tried it). Keyword research is one of the keys to building successful niche sites. You’ll need to find profitable niches that have decent search volume and competition that you can reasonably outrank in Google searches. The tools here can help with finding the right keywords. This free tool from Google is intended for AdWords users, but you can get plenty of information that is useful for other purposes as well. You’ll need to be logged in to an AdWords account in order to use it. For a tutorial on how to use this tool, please see Google Keyword Planner: The Ultimate Guide. Ubersuggest is a great free tool for finding related keywords and phrases. It won’t give you details regarding number of searches or anything about the level of competition, but it is great for getting more ideas for keywords and phrases. The free tool from WordTracker is also a helpful resource. You’ll need to create a WordTracker account, but it’s free. Once logged in you’ll enter a few keywords and it will provide a list of related phrases as well as some details on volume and competition. If you want to save some time and you have a little bit of a budget, Long Tail Pro is a great option. I purchased it about a year ago and it is my favorite tool for keyword research. It costs $97 (one-time payment), and there is also an upgraded option that involves a $17 monthly fee. For my purposes, I’ve always had everything I need without the monthly option. There is also a 10-day free trial available. 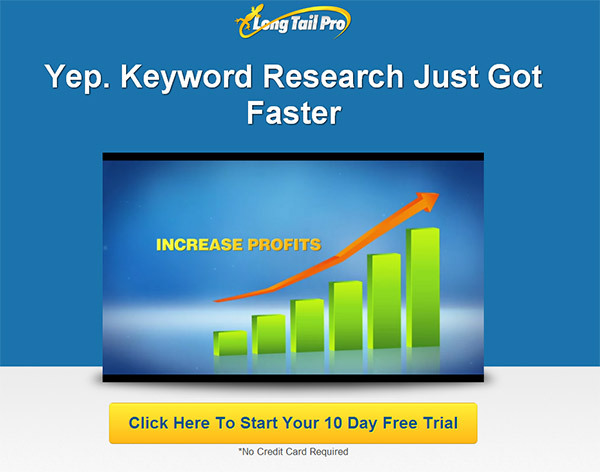 Long Tail Pro makes it pretty fast and easy to find profitable keywords and phrases and to research competition. Market Samurai is another keyword research tool, but I have not personally used it. The current price is $149 (one-time payment). Traffic Travis is free SEO software that can will allow you to perform an SEO health check of your sites. You can also find out why competitors are outranking you, keep tabs on them, monitor your rankings, and find link opportunities. Quality web hosting is an essential part of any website. When it comes to niche websites there are a few things to keep in mind. First, most niche sites are not high-traffic sites, so shared hosting accounts are usually sufficient, especially for just getting started. Second, cost is a factor because you may be building multiple niche sites. Ideally, you will be able to use the same hosting account to host multiple niche sites in order to keep your costs low. SiteGround is my preferred host for a number of different reasons (you can read my full review here). 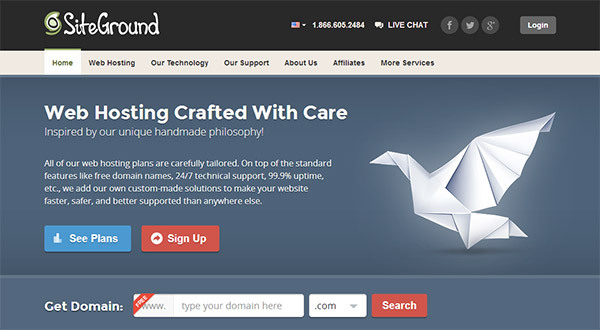 I’ve tried about 10 different hosts over the years and I am really impressed with SiteGround. I’ve been using them for about a year, and ProfitBlitz is hosted by SiteGround. They offer shared hosting plans starting at just $3.95 month, although you will need to go with at least the $7.95 per month plan if you want to host multiple websites. What I really love about SiteGround is that they config their servers for WordPress, which means faster loading pages and a better user experience is you are using WordPress. They also offer excellent customer service. HostGator is another good option. I used HostGator for several years, and overall I had very positive experiences with them. Their shared hosting plans start at $3.96 per month, or $6.96 if you need to host multiple websites. They also offer very good service. My preference for SiteGround is based on faster loading for WordPress, and shorter wait times for support. BlueHost is yet another good option. I also used BlueHost in the past for a year or two and had good experience with them. I prefer SiteGround over BlueHost for the WordPress features. BlueHost pricing starts at $4.95 per month for unlimited domains. Setting up sites is quick and easy with WordPress. It’s free and easy to install with most web hosts. Another benefit is that there are thousands of themes and plugins that you can use, and a massive community of users so you can easily find tutorials to learn just about anything related to WordPress. WordPress installs with a default theme (template), but you’ll most likely want to change that. There are plenty of free themes available directly from WordPress’s website, but for a relatively small amount of money you can get a theme that will look better and offer more functionality. Genesis is both a theme and a framework. There are a number of child themes that you can purchase to use with Genesis, you can use the default child theme that comes with Genesis, or you can create (or hire a designer) your own custom child theme to run on Genesis. ProfitBlitz is using Genesis and I highly recommend it to other WordPress users. Genesis has a reputation of being very well coded and search engine friendly, which is a great thing for niche sites. Genesis costs $59.95 for the framework, which can be used on unlimited sites. Most child themes from StudioPress sell for $99.95, which includes the framework and allows use on unlimited sites. 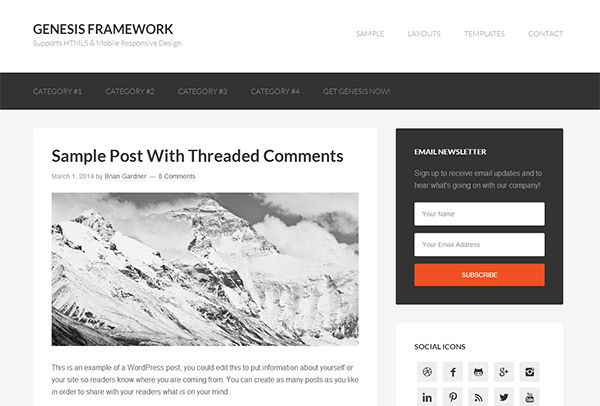 Thesis is another popular WordPress theme that can be used on it’s own or as a framework. You can use its drag-and-drop functionality to customize your site as needed. Like Genesis, Thesis has a reputation of being great for search engine optimization. A single-use license cost $87 ($197 for unlimited domains). Elegant Themes offers quality WordPress themes on a subscription basis. Members can use as many themes as they want on as many sites as they want. Pricing starts at just $39 per year and they currently offer 87 themes, so it is a great deal if you need themes for several different sites. When it comes to value in the WordPress theme industry, nothing can really compare to Elegant Themes. ThemeForest is a massive marketplace where you can buy website templates of all kinds, including WordPress themes. ThemeForest has an amazing selection and very competitive pricing. The down side to ThemeForest is that since it is a marketplace selling themes from a variety of designers/developers, the quality varies greatly. Some themes are coded very well, and others are not. If you’re not comfortable with code I would recommend that you stick to Genesis, Thesis, or Elegant Themes to avoid the possibility of buying a poorly-coded theme. WordPress is a great content management system, but there are limitations. Plugins allow you to add new functionality, and there are plugins available for just about anything you can image. The ones featured here are ideal for many niche sites. Joost de Valk is well-known in the WordPress community, and he developed this free plugin that can help you to optimize your website for search engines. There are a lot of different things that this plugin can do, but among the most significant features are the control of page/post titles and easy setup for Google Authorship. Speed and performance are major concerns for any website. Pages that load slowly will often be abandoned by visitors, and Google also uses page load speed as a factor in determining rankings. W3 Total Cache is a popular plugin that can drastically reduce the load time for your WordPress-based site. The down side is that a lot of users find it to be complicated to set up all of the functionality of the plugin. If you’re not a developer you may be more comfortable with the next plugin mentioned. WP Super Cache is another caching plugin that many users find to be a little more simple to set up as compared to W3 Total Cache. Contact forms are used on most websites to allow visitors to contact you. There is no default functionality in WordPress for creating contact forms, but Contact Form 7 is an easy, and free, solution. Pretty Link Lite is a free plugin that allows you to re-direct links. If you’re using affiliate links at your niche site you may want to create shorter, prettier links using this plugin. EazyAzon is a feature-rich plugin that can help you to increase earnings through the Amazon Associates program. You can create Amazon affiliate links directly from the WordPress dashboard, add product images and information blocks, enable product pop ups to get more attention from visitors, and you can benefit from the automatic link localizer that will allow you to make money from visitors around the globe. The cost for the plugin is $47 to use on an unlimited number of sites that you own, or $67 to be able to also use it on client sites or sites to flip. With this free plugin you can easily embed Amazon products into your pages and posts and use your affiliate links. Amazon Product in a Post is another free plugin for adding affiliate links to Amazon products. If you want to add AdSense units to your posts or pages, this plugin from Google makes it easy. This is another plugin for easily adding AdSense units to posts and pages. Insert AdSense units and customize their look with this plugin. A lot of the work you’ll be doing with a niche website can be outsourced, especially the writing and content creation. If you’re looking for affordable outsourcing options, there are plenty of sources. Elance is a site that helps you to match up with service providers. You’ll post your project details and providers can place bids. You can find designers, coders, writers, and much more. oDesk is another option similar to Elance. Freelancer.com is also a similar option. 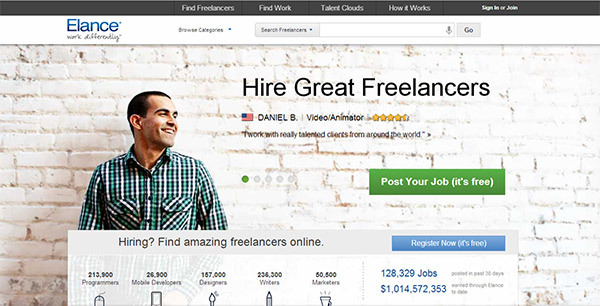 At Fiverr there are thousands of people who have their services listed. You can hire people to do just about anything, for very reasonable rates. Textbroker is a great place to hire writers to create the content for your niche sites. Hire Writers is another site where you can find writers to create your site’s content. MyArticleExpress is a third option for outsourcing your writing. Of course, the goal of your niche website is to make money. 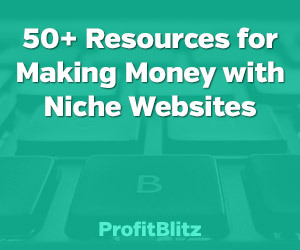 Here are some resources that can help you to monetize your site. Google AdSense is easy to set up and you can use it on just about any site (be sure to check Google’s terms). You’ll make money whenever your visitors click on links/ads. It’s not always the most lucrative monetization option, but AdSense typically will outperform it’s closest competitors. The major benefit is ease of use. It’s quick to set up and doesn’t require time or effort to maintain. Another popular approach is to monetize a niche site through affiliate programs, which has the potential to be more lucrative than AdSense. Clickbank is a huge marketplace that sells digital products in all different industries. 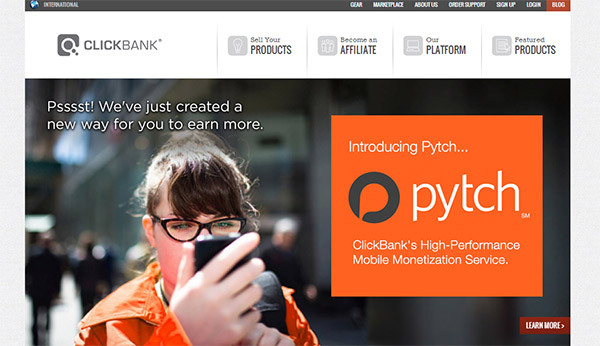 With a free account as a Clickbank affiliate you can promote various products and manage them all from one account. Clickbank also provides some helpful data that can show you what products are selling well and which ones are making money for affiliates. JVZoo is also a digital marketplace that is growing in popularity. As an affiliate you can promote your choice of products within the network. One of the major differences is that with Clickbank you will receive commissions from Clickbank. With JVZoo you will be paid commissions directly from the various vendors. CJ Affiliate by Conversant (formerly known as Commission Junction) is one of the leading affiliate networks. Unlike Clickbank and JVZoo, you can promote physical products in addition to digital products. With CJ Affiliate you can find products in just about any industry, and you can manage all of your different campaigns and promotions right from your dashboard. Payment comes from CJ Affiliate for all of your promotions through your account. ShareASale is another leading affiliate network with products in all kinds of different industries. There are some great companies and products that use ShareASale to manage their affiliate programs, so it is a good place to find quality opportunities. Personally, I find the user interface to be a little confusing, but it’s still a great resource. Linkshare is another massive affiliate network where you can find products of all kinds to promote at your site. Amazon has so many different products at their site that you are sure to find some that you can promote. This is another popular choice for niche sites because there are so many possibilities. One of the great things about Amazon Associates is that they have so many products, all you really need to do is focus on getting visitors to click your links. Some of your referrals are bound to make a purchase at Amazon, and it really doesn’t matter if they purchase the product that you are promoting or if they purchase something totally unrelated. With Infolinks you can add contextual links to your site, and make money when visitors click on the links. Kontera is another way to monetize your site by linking to related content at other blogs and sites.